Empties trash when trash folder size exceeds limit. cans entire hard drive blocks to collect and remove duplicate files. Scans full Mac disk to eliminate leftovers from uninstalled applications. Scan helps you analyze large and unused files for removal. Software contains an Uninstaller to remove any application, widgets or plugins. Provides separate cleanup options for Macintosh HD and non-booting partitions. 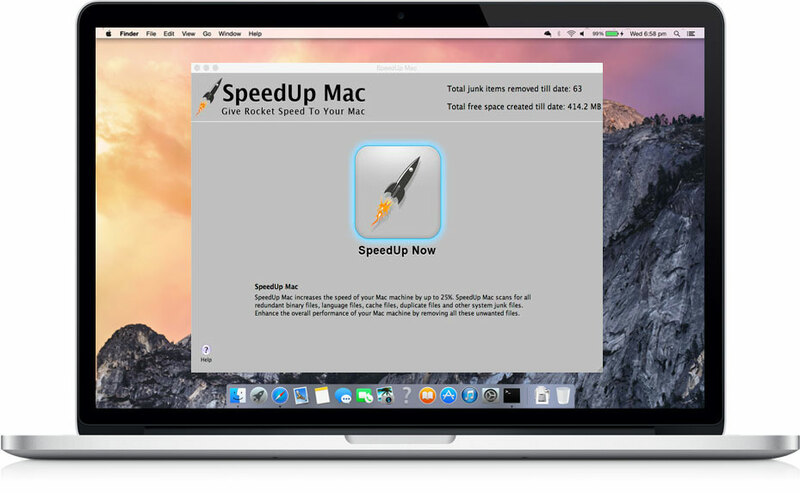 * Disclaimer: Stellar Speedup Mac software cleans Trashes, Logs, System Junks in the Free version. Register the software to clean more junk files. When to use Stellar Speedup Mac Software? When your external hard drive is filled or running out of spaces etc. When you need to uninstall application(s), widget(s) and plugin(s) using a single platform. Or, you are unable to remove an installed application using drag-drop. When you want to remove duplicate pictures, videos, audio, documents from Macintosh HD, SSD, SD Card, External hard drive, etc. When you are deciding to get rid of the error – "Your Startup disk is Almost Full."